Pavlova Recipe: A light and fluffy treat to impress and delight your guests! Pavlova is a light and fluffy, yet rich and decadent. 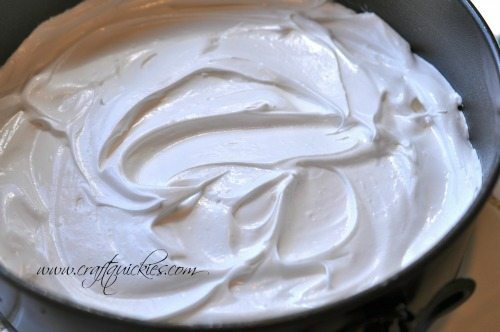 It is the perfect spring or summer dessert, and it is quite diet friendly as well due to its meringue qualities! 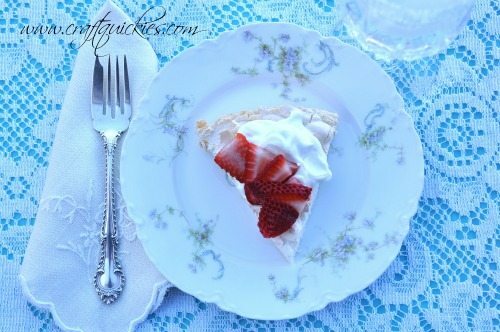 I am excited to share with you one of my very favorite dessert recipes: Pavlova! Pavlova is a light, yet decadent treat. My husband spent two years in Australia serving as a missionary for The Church of Jesus Christ of Latter-day Saints, and this was one of his favorite foods to which he was introduced during his time in Australia. Pavolva is a dessert that was created in honor of the ballerina Anna Pavlova during a tour that she did in Australia and New Zealand. I have served this dessert at many dinner parties and events, and every time that I do people ask me for the recipe. And here’s a little surprise for you: it’s shockingly good for you, at least in comparison to other desserts of similar decadent tastes. 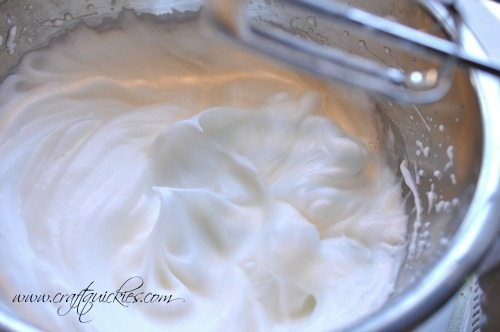 It is one of my favorite desserts to make while I am on Weight Watchers (sorry, I don’t know how many points it is on the new system), because it is practically just egg whites, so the whipping cream is really the only thing adding serious fat and calories to this tasty treat! 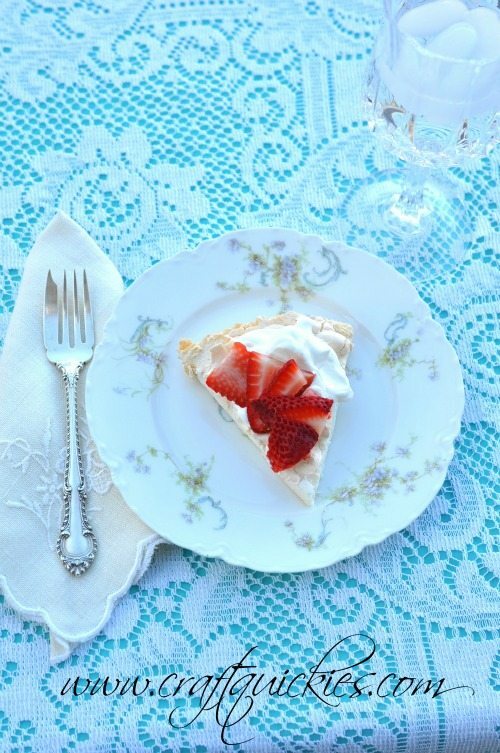 This particular Pavlova recipe is slightly adapted from a version that my in-laws found in an old cookbook called The Silver Palate. Now let’s get cooking! Begin by preheating your oven to 275 degrees. 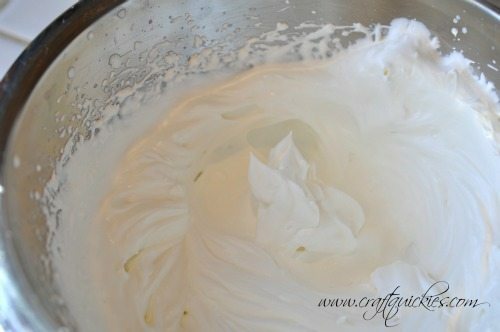 Now beat the egg whites, salt, and cream of tartar together in a bowl until the whites hold a stiff peak. 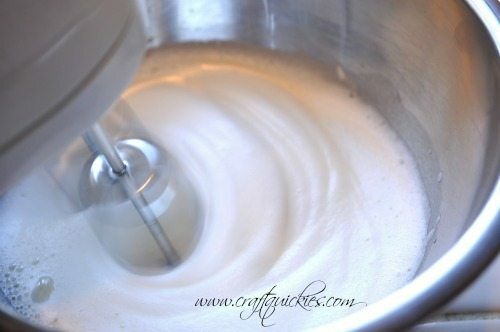 Next you will add the sugar to the mixture very slowly and gradually while you are beating the mixture. Beat until the mixture is stiff and glossy. 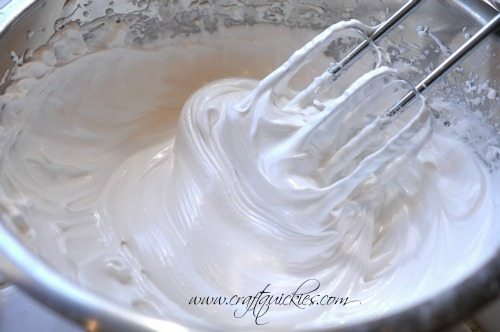 Beat in the cornstarch, then the vinegar and vanilla. The mixture will get even stiffer and glossier. That’s it! Seriously.Butter and flour (baking spray works!) an 8 inch pan (I use a springform pan, although a pie pan would work) and fill gently with the mixture. Bake your Pavlova for 1 to 1 1/4 hours, or until it is firm and lightly browned. Don’t worry, it will remain moist inside. Cool slightly, unmold, slide onto a serving plate, and cool completely. Lightly whip up some Land O Lakes® Butter Heavy Whipping Cream just before serving, and prepare your berries. (By the way, I know this is totally random and not related to this post at all, but did you know that Land O Lakes® Butter makes butter HALF sticks now?! Spotted them when I was buying this whipping cream and thought it was just brilliant!) You can use any fresh berries that you would like, but I personally love straight strawberries on mine. Now serve it up and prepare to amaze your guests and your tastebuds! YUM! 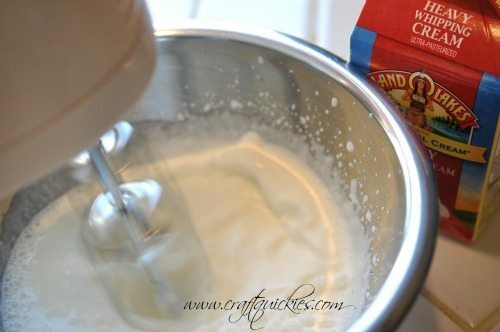 Butter and flour (baking spray works!) an 8 inch pan (I use a springform pan, although a pie pan would work) and fill gently with the mixture. Bake your Pavlova for 1 to 1¼ hours, or until it is firm and lightly browned. Cool slightly, unmold, slide onto a serving plate, and cool completely. 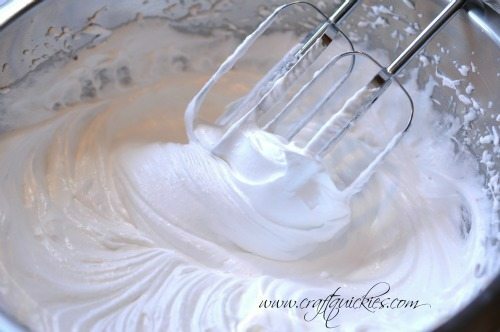 Lightly whip up some whipping cream just before serving, and top with fresh berries of your choice. Oh my… this sounds divine. 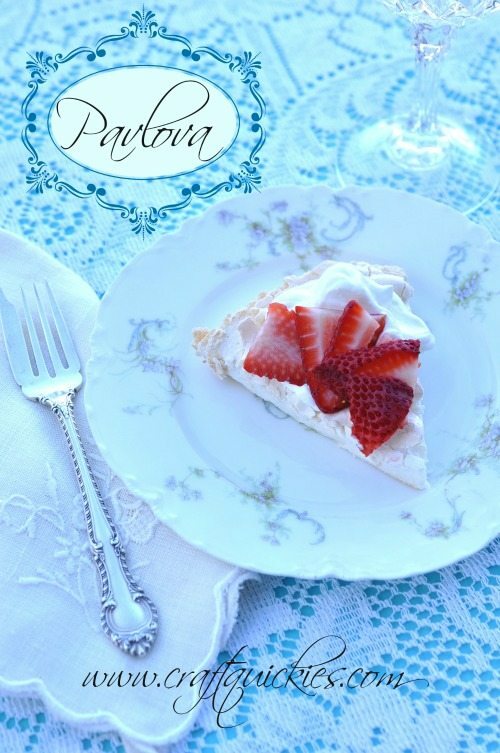 I’ve never tried Pavlova but have always heard wonderful things about it! The le creuset set looks amazing! That looks amazing and such a pretty table setting!! Love your posts& and love the give away! Wow what an amazing assortment of prizes… And the “on line Progressive Dinner” is sheer genius. What a great idea. I can’t wait to try all the different recipes. I’ve heard of Pavalov, but never knew how it was made. Thanks for the recipe, I intend to try it this week-end. Ooh this is fun! I would probably bring some yummy tomato caprese bites! Your pavlova sounds fun – I’ve never had that before! I would bring a nice bottle of wine to the dinner!